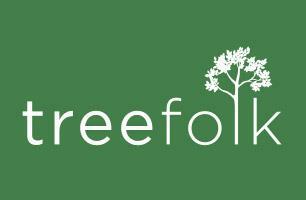 Tree Folk - Tree Surgeon based in Selling, Kent. Tree Folk provide expert tree care. That’s all we do, and we aim to be the very best. Our team are highly knowledgeable arborists with a genuine passion for their work. We offer services ranging from light pruning and reductions to crane assisted tree removals. The company was founded in 2009 by Henri Stevens, who still plays a very active role in tree care operations. His mission has always been to separate Tree Folk from the crowd by providing exemplary tree work, always staying up to date with current arboricultural research as well as the using the latest tools and techniques. We specialise in sensitive reductions and pruning, particularly of veteran or protected trees which require extra special treatment. We can advise and take care of any planning applications needed for Tree Preservation Orders (TPO’s) or tree work within a conservation area. We will NOT mow your lawn or put a fence up for you, but we’ll gladly recommend someone who will! We WILL leave your trees looking at their best and hopefully leave a smile on everyone’s faces.